With the moto of Great Look and Great Value, OnePlus has been launching the devices in the market with the slogan of “Flagship Killer.” Last launch from the company was OnePlus X in the November last year and OnePlus2 in August 2015. Taking the trend ahead, company is ready to launch its new flagship killer in 2016 as well. As the leak suggests, high-end specs at an affordable price. Today in this article will talk about all the things which we know about the OnePlus3 i.e. price, release date, specs and rumors. Talking to CNET en Espanol, OnePlus Co-Founder Carl Pei has disclosed some vital information about the release date of OnePlus 3. Although, he didn’t disclosed any details about the design of the device, according to him the device will be launched at the end of the Second quarter of 2016. The official information about the pricing of the device is yet to be revealed, we can hope for the prices similar to its predecessors. 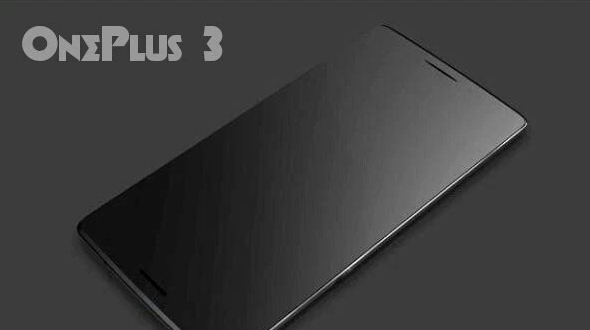 Some early conceptual renders of the OnePlus 3 design were leaked in December 2015. They leave much to the imagination, but it would appear that the company has discarded its trademark sandstone black back in favor of black brushed steel. What the sheer white face on the left-hand renders below means is anyone's guess. The renders do clearly show that the fingerprint scanner no longer sits at the base of the front of the device, leading to speculation over how the company plans for the new device to be unlocked. It's possible that it could employ iris-recognition technology or even an ultrasonic fingerprint sensor embedded below the screen. Excitingly, front-facing speakers can clearly be seen below the screen. We are hoping for the one of the greatest device from the OnePlus in the form of OnePlus 3. Do Share your views and expectations on new flagship killer in comment section below.